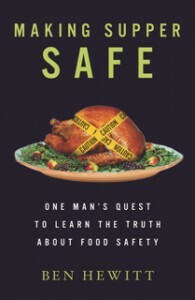 I finished Ben Hewitt’s newest book today and highly recommend it to all of you! We are all in various stages of this journey!!! It will make you think and assess. In my desire to make you aware of this thought provoking book and to create within you a desire to read this book, I will share from Ben’s site. When Ben Hewitt met Erik Gillard, he was amazed. Here was a real-life rebel living happily and comfortably in small-town Vermont on less than $10,000 per year. Gillard’s no bum. He has a job, a girlfriend, good friends, and strong ties to the community. 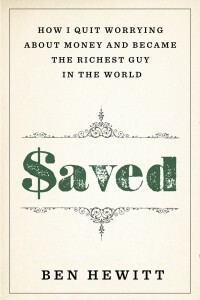 But how he lives his life—and why—launches Hewitt on a quest to understand the true role of money and mindless consumerism in our lives. By meeting and befriending people like Erik Gillard, Hewitt realized that their happiness was real. What was he—and the rest of a deeply unhappy population—missing? 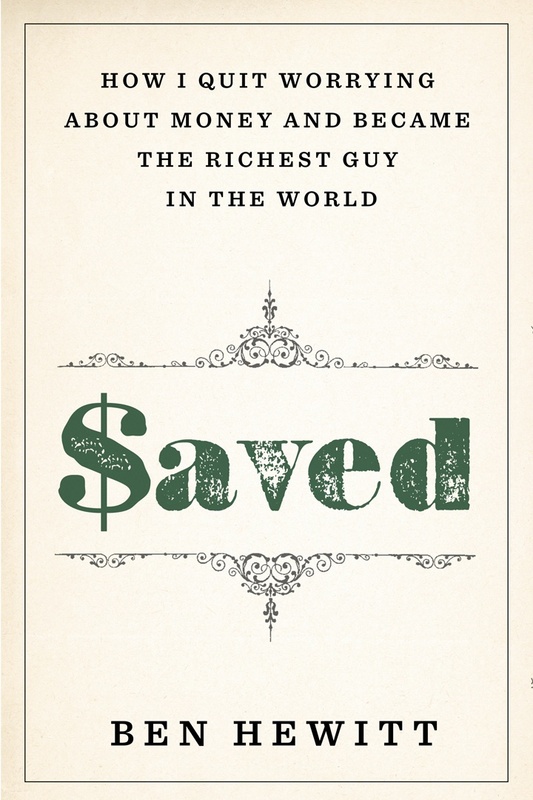 Saved is the humorous, surprising, and ultimately life-changing result of Hewitt’s quest, a narrative that challenges everything we know about the meaning of money. Hewitt uses his sharp eye for story, exhaustive reporting, and his own experience living below his means to bring what he learned into an even larger context. How does money really work? How can a bankrupt society move forward? The answers are not what you think, and Hewitt has written an important book for our times. In 2009, the year I first met him, Erik Gillard earned about $6,000 from a part-time job at a children’s wilderness camp. And managed to save a good bit of it. In 2010, the year he turned 26, he received a substantial raise, one that would put him on track to earn nearly $10,000 for the year. When he told me this, he sounded almost embarrassed, as if no one person should be entrusted with so much money. “Oh well,” he said. “I guess with the house, it’ll be good to have some extra cash around.” I considered sharing the particulars of my income, but thought better of it. This may be giving away too much, too early, but I think it’s important for you to know that Erik is not a kook. Nor is he destitute, or desperate, or depressed. Indeed, he is the least of these things of perhaps anyone I know. He is healthy and strong, articulate and obviously intelligent. He does not smoke or consume alcohol, and he is careful about what he eats, in the sense that he does not eat very much processed food (in another sense, one that we will get to, he is not careful in the least). He does not even drink soda, or at least, I’ve never seen him drink a soda. He exercises regularly, though of course not at a health club. He is usually, but not always, clean. Frankly, sometimes he smells a bit ripe, the inevitable result of living without running water. He has a girlfriend, a sweet-faced and even sweeter-natured woman named Heidi. She is from Wisconsin and is the embodiment of northern Midwest charm. Often, she and Erik sing together. Her voice is lilting and ascendant; naturally, his is deeper, with a kind of innocent power. They’ve been together for 2 years now. It wouldn’t surprise me if they got married. It wouldn’t surprise me if they didn’t. Erik Gillard is a man of many skills. He is particularly good with children (this is good, given that his career, such as it is, depends on his being good with children), and he is tremendously proficient in the wild. He can build a fire with a bow drill, tan a deer hide using the animal’s brains, or construct a weather-tight shelter of twigs and leaves. He is an amazing and versatile visual artist: paintings, drawings, carvings. He does them all, and he does them well. He’s obviously no carpenter, but he built a house, or at least a cabin, anyway. He might have said “I don’t know how to build a cabin,” which would have been fair enough because he didn’t. But that’s not what he said. The point I am trying to make is that Erik is not a loser. In one sense, he is the poorest person I know. It may already be obvious that in another sense, he is the wealthiest. It is not hard to quantify his poverty; it shows itself in the cold, objective numbers of his salary and bank account. It is more difficult to take measure of his wealth, which does not present itself in such ready terms. That we carry assumptions about the poor, that we stereotype, generalize, and perhaps even discriminate, likely comes as no surprise. One of those generalizations is that people—and in particular, Americans—don’t want to be poor, that poverty makes them feel bereft, lesser, hollowed out, victimized. One of the things that intrigues me about Erik Gillard is that for him, poverty seems to have the opposite effect. The less he spends, the less he needs to make. And the less he makes, the less money that flows through the river of his life, the more fulfilled he seems to feel. Why is this? Is there something wrong with him? I’m pretty sure not, but I intend to find out for certain. How did he get this way? Does he ever have regrets? Or what if I have it exactly backwards: What if it is not his poverty that brings him happiness, but his wealth? Because already it is becoming clear to me that Erik considers himself extraordinarily wealthy. Do not think that he is delusional, or simply contrarian; instead, understand that he does not view money as an emblem of wealth, nor any material asset that would demand he subjugate himself to its accumulation. It’s not that he doesn’t like stuff; indeed, he has possessions that he likes very, very much. Loves, even. But they tend to be things that have been given to him by friends or family, or that he has created himself, and thus it seems reasonable to wonder if what he likes about these things is not the objects themselves, but the relationships they represent. In other words, they are symbols of their underlying value. Which is rather strange, if you think about it: Because that’s exactly what money is. 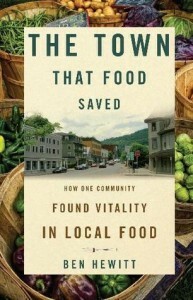 Ben Hewitt’s first book, The Town That Food Saved: How One Community Found Vitality in Local Food, was published in March, 2010. His second book, Making Supper Safe: One Man’s Quest to Learn the Truth About Food Safety, was released on June 7, 2011. May Ben Hewitt’s newest book lead you to understand more clearly the journey you are on as you work to connect with nature, to build healthy and real relationships, to create community, to enjoy freedom, to enhance your spiritual fulfillment and to achieve overall contentment. Peaceful & Happy Reading ! Thanks James, for the reminder about Ben Hewitt. I have been meaning to read “The Town that Food Saved”. Now I will add “Saved” to the list. Compelling, James (or JTV as you’re known in my household)! Thanks for introducing me to this writer. I keep coming back to this journey between yens for more cash in my life. Occasionally conflicted, but I know better. Thanks again! It is a battle we all fight Mark! We were programed from an early age to accumulate money and possessions.. The 2008 crash was a BIG wake-up call! 200(k) in retirement gone and no bank or banker has been punished! We do need some cash to survive but we don’t need nearly as much as we thought if we re-focus on what is really important in life! I commend you and Susan for the major life change you just made… you are further along this journey than most!